Electric bikes may not be as popular in the U.K as they are in other parts of Europe and the wider world, but they are becoming more prominent in the public eye. 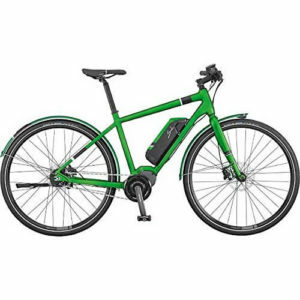 If you love cycling but you would like a little assistance to go that extra mile, or if you are new to cycling and you want to ease into it without having to strain yourself too much, then an electric bike could be the perfect choice for you. Electric bikes are very similar to regular bikes apart from the fact that they contain certain components, i.e. an electric motor and a battery, which enables them to give you extra power to help you along. These components can take some of the pressure off cycling as they can give you the power to cycle faster and for longer without the pain, strain and sweat. If you would like to learn more about e-bikes then read on for our buyers guide! E-bikes are battery powered and so they can only run for as long as their battery is charged. E-bikes will normally include Lithium-ion batteries as these are the most popular and common types of batteries typically found in other electric appliances, but on the cheaper end of the scale, you may come across Nicad batteries as well. When you are shopping for an electric bike, you will need to check the battery capacity. The battery capacity will usually be measured in amps and it will let you know how much charge the battery can hold. The higher the battery capacity number is, the further you will be able to travel on a single charge. Remember that once the e-bike runs out of charge you will not be able to utilise its electric components until you recharge the bike. These bikes can be pretty heavy so unless you want to manually ride it all the way back you should always ensure the bike is fully charged before using it. The length of the journey that an e-bike can make will depend on how much charge the battery can hold, but some bikes are able to manage around 40-50 miles on a single charge. When it comes to charging your e-bike, all you need to do is plug it into an electric socket and leave it until it is fully charged. Batteries do get worn out after prolonged use and, whilst they should get trough at least 800 full charge cycles, you will need to replace it sooner or later. The voltage on an electric bike will determine how powerful the motor is. The amount of power an e-bike’s motor can have is limited by U.K law (the maximum power output cannot exceed 200W) so many bikes are likely to have the same voltage. It may sound like the more powerful your motor is the better, but remember that the more power your bike uses the quicker your battery will empty! Most e-bikes are able to assist you for up to 15.5 mph. If you want to go faster than that you will have to add your own power to the bikes power as U.K legislation means you can’t legally sell electric bikes if they break the speed limit. Remember that an electric bike is not a motorbike. 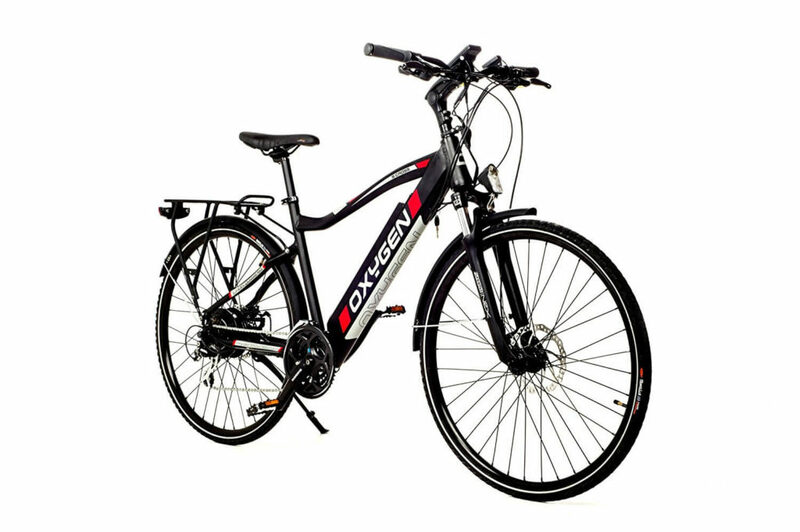 E-bikes cannot exceed 250W and they can only propel the bike to 15.5mph. If an e-bike is more powerful than this then it is subject to rules and regulations and you would need a license, insurance and a helmet to use it on the roads. When you’re looking to buy an e-bike you will be able to choose between a ‘hybrid’ bike, a road bike, a cruiser or a mountain bike. Mountain bikes are obviously ideal if you are planning on going up a lot of hills, but they may not be the best choice if you are planning on doing most of your cycling in the city. Road bikes are a good choice in terms of speed, but they don’t tend to be that comfortable. Hybrid bikes are the most popular option as they are a cross between a mountain and a road bike which offers you more comfort and the ability to go up hills. You can also buy electric utility bikes. These bikes are designed for people who want to transport loads without using a car. These bikes tend to be a little larger than regular bikes and they are necessarily stronger and more powerful. If you are looking for greener alternatives to using a car to transport your shopping then you may want to look into buying a utility bike. Some e-bikes include a motor which can detect how hard you are pedalling and can then tailor the power assistance accordingly. This feature can feel more natural, but it does mean that you will need to pedal extra hard if you want to get ultimate assistance. Some e-bikes will allow you to manually select how much or how little assistance you want the electric motor to give you. If you’re just looking for a little extra help on the steep areas of your neighbourhood but you still want to do most of the work yourself then set the assist level to the minimum and enjoy a slightly easier bike journey. If you are tired, embarking on an uphill journey or just feeling lazy you can turn it up all the way and enjoy a fully assisted bike ride. Remember that the more power you use the quicker your battery will die. Remember that e-bikes are not motorbikes. They can provide extra assistance, but you will normally have to put in some effort. Some electric bikes can be folded. Foldable e-bikes are a good choice if you plan on cycling part of the way and taking public transport for the remainder of your journey as you can easily fold your bike to stop it taking up too much space. Foldable bikes are also a good idea if your home has limited storage space and you want to keep it indoors. E-bikes are heavier than regular bikes because they contain extra components which help push their weight up. Some bikes can weigh as much as 40kg, but 20kg is a pretty standard weight. Make sure you are able to move your bike around manually just in case. There may also be a weight limit for your bike, so check to make sure you are able to use it before you buy it! E-bikes are not the same as mopeds, motorbikes or cars and so you don’t need a specific license for them, but you will have to be over the age of 14 before you are allowed to ride an e-bike. E-bikes are more expensive than standard bikes and they are likely to cost at least £500 and may be over £1,000 for a high-quality model. It is a good idea to spend a little more (say £600-£1,000) on a decent e-bike as cheaper models may be unreliable, they may break easily and they may not give you a good riding experience. E-bikes may sound expensive, but it all really depends on your perspective. If you are planning on using the bike instead of your car or public transport then consider how much petrol costs in comparison to electricity (to give you a hint, electricity tends to cost around 7p per charge) and how much your oyster card costs you per month. E-bikes may cost more initially, but they will probably pay for themselves sooner than you think.